The 4 Most Common Mineral Deficiencies: What Are They, And What Can You Do? When most people hear the word “mineral,” they imagine a rock or crystal. But minerals include a wide variety of substances we need to function, and not everything can be found in large enough quantities in the food we eat. As such, mineral deficiencies are incredibly common. The numbers of people with deficiencies are well into the billions worldwide: 1 billion people may be deficient in iron and 2 billion in zinc. 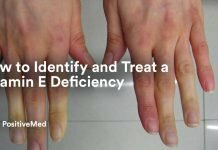 What do these deficiencies mean, and how can we treat them? Chromium is required in trace amounts in humans, and it’s known how the body uses it. It is known to be involved in insulin action. Due to this lack of information, it is not well understood how common chromium deficiency is, or how severe it can be. There have been cases of patients who had symptoms of diabetes until they received chromium supplements. Chromium is found in small amounts in most foods, with broccoli having the most. The body uses magnesium in a variety of chemical reactions, including those involved in muscle function, blood glucose control, and blood pressure regulation. 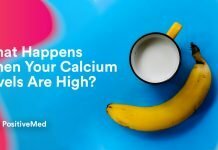 It’s also involved in calcium transport and is present in bones. Severe magnesium deficiency is usually found in people with other health conditions and chronic alcoholism, but studies have found that almost everyone has a mild deficiency. The first symptoms include nausea, loss of appetite, and fatigue. More severe deficiencies can cause numbness, muscle cramps, seizures, personality changes, and heart spasms. Despite these scary sounding symptoms, it’s not normally dangerous in the short term, but it has been linked to other long-term conditions like cardiovascular disease and diabetes. Magnesium is fairly common in food, but green leafy vegetables and nuts and seeds are good sources. One of the most important minerals the body uses is iron. A majority of the iron in the body is in red blood cells, where it is involved in transferring oxygen from the lungs to the tissues. Iron is also used in a similar way to provide oxygen directly to the muscles. Next articleHow Much Turmeric Is Enough To Cure Your Serious Health Problems? 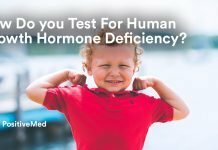 How Do You Test For Human Growth Hormone Deficiency?